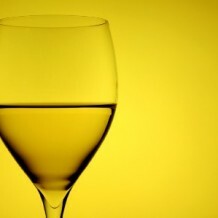 Sauvignon Blanc is one of my favorite aromatic white wines. The aromas and flavors range from green (cut grass, green herbs, green olives, bell peppers and hay) to citrus (grapefruit, lemon, lime) to full-blown ripe fruit (melon, tropical fruit and stone fruit). Oh and don’t forget the cat pee. Not that I’ve ever tasted cat pee, mind you, but I’ve smelled it in plenty of Sauvignon Blancs. A little cat pee isn’t necessarily a bad thing in Sauvignon Blanc – lots of New Zealand Sauvignon Blancs and quite a few from California have a goodly bit ‘o tabby to them. Mrrow! I like to serve it slightly chilled with light seafood dishes, smoked salmon and salads. It is wonderful with a bowl of green olives, sharp goats’ milk cheese and crusty French bread. This Sauvignon Blanc is a bright, zippy wine – from the first sniff, through the crisp mouthfeel and on through the finish. Aromas and flavors of jalapeño peppers, hay, green herbs and citrus abound. Perfumed aromas of orange blossom, honeysuckle, grapefruit and melon continue as flavors in the big, rich mouthfeel. This wine is what we would call a “patio pounder,” meaning that its almost too easy to drink. This is one delicious wine! Spicy scents of jalapeño peppers, green bell peppers, green herbs and grapefruit lead into a crisp mouthful of consistent flavors. Totally refreshing! Can you say “meow?” I knew you could! Along with savory green herbs, bell peppers, cut grass, hay and white flowers, this sassy Sauvignon Blanc has a spray of cat pee. This is not a bad thing for cat lovers and lovers of this sometimes catty varietal. It’s tasty. Oooh! Pretty! Perfumed aromas of dried flowers, lemongrass and grapefruit continue as flavors in the crisp, juicy mouth. Long, delicious finish. This delicious Sauvignon Blanc is done in a ripe, fruity style. Aromas and flavors of melon and peach abound, balanced by citrus and floral notes. Total quaff! Grapefruit, green herbs and white flowers play together nicely from the first sniff, through the full-bodied, juicy mouth and on through the finish. Patio pounder!